For PlayStation players, playing across platform boundaries was a dream come true for years. Now Sony finally starts to lift the restrictions and lets players compete in a first beta of Fortnite for PS4 against players of other platforms like XBox One, Nintendo Switch, iOS and even Android. 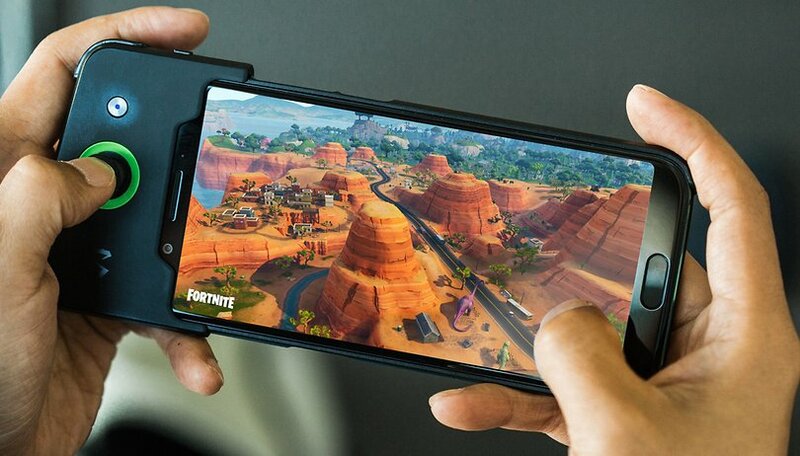 Fortnite for Android: worth the wait? Until now, anyone who was digitally active in the PlayStation world was virtually imprisoned within Sony's walled kingdom. Fortnite's runaway success owes a lot to the fact that players can compete with each other and against each other across platforms, but it's not the only game to boast this. Rocket League, popular in e-sports, and Minecraft also allow PC players to compete against players with an Xbox One or Nintendo Switch. Only PlayStation players are not allowed into the party. Why are there so few games with Crossplay? Again and again one heard from developer circles that one would like to implement the feature, but that certain "First Parties" are blocking themselves against such a feature. This remark has only recently been repeated by EA with regard to Fifa 19. In plain language, it simply means that if a developer wants to publish his game for Sony's PlayStation as well, he must either prevent cross-platform play or, as in the case of Rocket League, restrict PS4 players to play only against PC players. The lack of cross-play on PS4 infuriated many Fortnite fans who, for example, enjoy playing Fortnite on the go on their phone or perhaps the Nintendo Switch and then found out that their rewards wouldn't carry over when they sat down with the PS4. Not to mention being left out of the party when it came to playing with their friends who prefer a different console. Will Fortnite for PS4 be the big turning point? In a Sony PlayStation blog, Vice President John Kodera writes that Sony will now carry out "fundamental tests" of the crossplay feature with the now available Fortnite beta for the PS4. Kodera further justifies this step with the fact that the communities of some games have developed to such an extent that cross-platform gaming represents "considerable added value" for the players. In addition, Kodera gives the PlayStation community hope that more games could benefit from the findings of the beta test of the cross-platform feature in Fortnite. So there could be rosy times ahead for us gamers and the platform barriers could fall completely in the near future. Have you been frustrated by the lack of crossplay on the PlayStation? What are you looking forward to use it for?